When Lucy goes to the Danfield Bank to plead for money, she finds her trustee, Mr. Barnsdahl has been replaced by Mr. Mooney. After he refuses to advance her money, Mooney orders her to economize. His idea of economizing forces Lucy to cut corners financially, so Lucy decides to give her kids do-it-yourself haircuts. She first disastrously practices on one of her son Jerry's new friends, Arnold, which was a good idea since he ends up with a Mohawk hairdo. But it seems Arnold also turns out to be Mooney's son. After finding out that he is the son of Mr. Mooney, Lucy feels she should apologize in person. When she goes to the bank to apologize, she inadvertently locks herself and Mooney in the vault until the next morning. 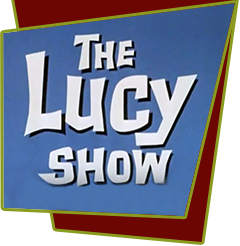 All Lucy has with her to tied them over is a grocery bag containing a bottle brush, a can of baked beans, and a box of uncooked macaroni, and a deck of children's playing cards, "Who's in the Barnyard". Special Notes: This episode, the first of a two-part story, introduces Gale Gordon as Theodore J. Mooney, the new trustee of Lucy's money and manager of the bank. The actor (Barry Livingston) who played Mr. Mooney's son, Arnold, also played the part of the youngest son, Ernie, on the popular 60s television series "My Three Sons" (1960-72). Bloopers: After Mr Mooney walks over to Lucy he suddenly has no shoes on. The immediate scene before Mr Mooney wakes up with his shoes on.